MILAN (Reuters) -- Fiat Chrysler Automobiles makes its Wall Street debut to great fanfare on Monday, shifting the carmaker's center of gravity away from Italy and capping a decade of canny dealmaking and tough restructuring by CEO Sergio Marchionne. The world's seventh-largest auto group has sought the U.S. listing to help to establish itself as a leading global player through access to the world's biggest equity market and the cheaper, more reliable source of funding it ultimately offers. But Marchionne has picked a difficult moment to woo U.S. investors. The American auto industry is nearing its peak, the European market's recovery from years of decline is proving elusive and weakness persists in Latin America. Few, however, would question his business credentials. Marchionne and FCA Chairman John Elkann will ring the closing bell at the New York Stock Exchange on Monday to mark the milestone for the 62-year-old chief executive who has revived one of Italy's top companies and helped to rescue Chrysler from bankruptcy along the way. "Half of our car volumes are in the United States. I want this to be a U.S.-listed company," Marchionne has said, having deliberately chosen to list on the day that celebrates Christopher Columbus's arrival in America. Fiat took management control of Chrysler in 2009 after the American carmaker emerged from government-sponsored bankruptcy and completed its buyout of the company this year. It is now combining all of its businesses under Dutch-registered FCA, which will have a British financial domicile and small London headquarters, with operations centers in Turin and Detroit. Wall Street is the first item on an ambitious agenda for the next five years as Marchionne gears up for the launch of dozens of new models, from funky Fiat 500s to sporty Maseratis. The target is a 60 percent sales boost to seven million vehicles and a fivefold increase in net profit to as much as 5.5 billion euros ($6.9 billion) by 2018 -- the year Marchionne has said he would step down as CEO after seeing through his investment plan. FCA's growth plans won't come cheap, though, and Marchionne will need to be at his persuasive best if analysts are right with predictions that the group will need to raise more capital. "It's not the right time to list an auto stock anywhere," said Arndt Ellinghorst, a London-based analyst with ISI Group. "This is happening in the middle of a major profit warning from Ford and people are still very concerned about GM. It's going to be tough for Marchionne to convince investors." Ford has hacked back its profit forecast for this year, citing recall costs in North America and steeper losses in Russia and South America. Marchionne maintains that FCA should not be tied to Ford's woes, saying that its strong position in Brazil gives it an advantage over competitors, and this month reiterated full-year guidance despite market expectations of a cut to forecasts. Using the other two Detroit giants GM and Ford as a benchmark, FCA is seen as the least attractive because of its ageing model line-up, high debt, weaker margins in North America and its minimal presence in China. "Ford and GM also offer much stronger cash generation and balance sheets, and are thus in a position to return cash to shareholders, while FCA still needs to raise capital," Exane BNP Paribas analyst Stuart Pearson said in a note. FCA will decide on future financing options this month, though Marchionne insists it does not need a capital increase. The group has a stronger premium brand portfolio than either Ford or GM, with an attractive carrot for investors in the form of luxury brands Ferrari and Maserati, the promise of a relaunched Alfa Romeo marque and Jeep. "We see FCA's Asia weakness as a huge upside opportunity because with Jeep they have the right product for Asia," Barclays analyst Kristina Church said. Monday's listing is seen as a purely mechanical exercise, one U.S. investment banker said, adding that the true test will come once FCA seeks to access U.S. capital markets. "Now would be the worst possible time to ask investors for money," he said. Marchionne, meanwhile, has a clear criterion for Wall Street success: more than half of the merged company's shares changing hands in New York instead of Milan. American investors said that appetite will take time to build, especially as FCA has yet to switch to United States accounting principles and to reporting results in dollars. "You have an Italian company buying out a U.S. one, but the holding is registered in Amsterdam with an HQ in London -- that's a lot to get your head around, and without a (pre-listing) roadshow they are not doing themselves a favor," a second U.S. banker said. Marchionne will hit the road next month to spread the word and has said that FCA could also sell treasury shares and other stock after the listing in an attempt to boost trading volumes. 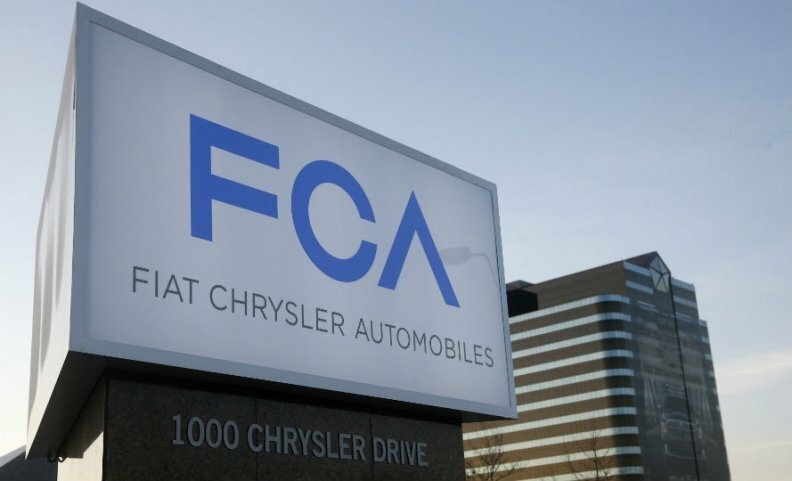 He believes that FCA's cause will be aided by Chrysler's brand strength in the United States, now the main profit center for the combined group. FCA sold more cars in North America last month than Toyota, the world's largest automaker. "Given where Chrysler was five years ago, that achievement gives us some satisfaction," Marchionne said at the Paris auto show. "I believe the stock will interest American investors." The stock opens in New York and shortly afterwards in Milan, where the group will keep a secondary listing. Monday's opening price will be benchmarked against Fiat's previous close of 6.94 euros ($8.76).